Thank you much! Can't wait to see you there! Please, if it turns out a schedule conflict comes up and you won't be able to attend.....please let us know at info@articulturedesigns.com so we can open up your seat to others. ARCHI-talks: A free monthly architecture lecture series. Mindy Cooper, ASLA, Landscape Architect, DWG. Doors open -- with refreshments, snacks, and good conversation -- at 6:00pm. The evening's lecture begins at 6:45pm. 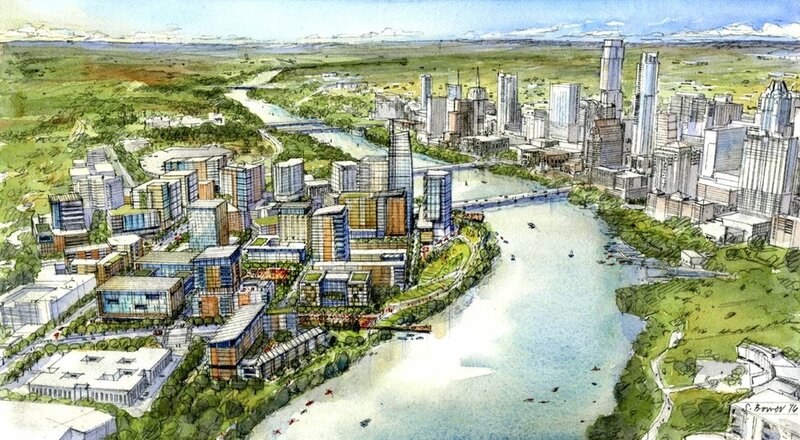 Come get an exclusive sneak peek at upcoming projects that will shape the future of Central Austin, just south of the river — long the geographic soul of our city. The talk will center around the (currently temporary) Nightwing Plaza, named after Dale Whistler’s bat sculpture located on the median at Congress and Barton Springs, which is titled “Nightwing.” (See you already learned something.) This project, if made permanent, will provide a connective piece in the overall South Central Waterfront design. 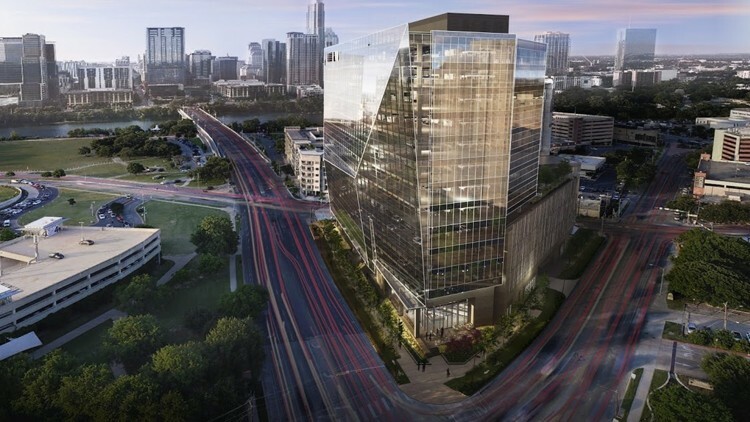 The talk will also feature plans and insights in the soon-to-break-ground RiverSouth Building, which will replace the Hooter’s across from the Long Center. RAIN DATE: We will have heaters. But in case of inclement weather, the rain date is set for the following evening, Weds, Dec 19.